LONDON POLICE SAY the two suspects in this week’s high-profile domestic slavery case are from India and Tanzania, and came to Britain in the 1960s. Metropolitan Police Commander Steve Rodhouse said that officers believe two of the three women victims, who were allegedly held against their will for over 30 years, met the male suspect in London “through a shared political ideology and that they lived together at an address that you could effectively call ‘a collective’”. He said police are investigating “the nature of that collective and how it operated”. The two suspects, a male and a female, both aged 67, have been released on bail. The women — a 57-year-old from Ireland, a 69-year-old Malaysian and a 30-year-old British woman — were rescued on 25 October, one week after first making secret telephone contact with a charity. Rodhouse said police were trying to determine how the collective came to an end and how the women ended up continuing to live with the suspects. “How this resulted in the women living in this way for over 30 years is what are seeking to establish, but we believe emotional and physical abuse has been a feature of all the victims’ lives,” he said. Police said the woman who is now 30 appears to have lived with the suspects and the other women for her entire life. Rodhouse said the woman “does have a birth certificate” but that no other official documentation could be found. 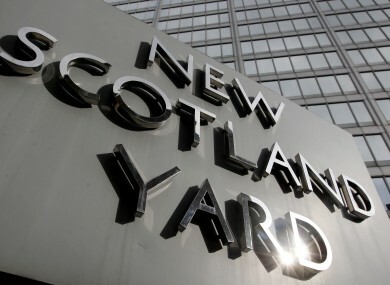 Police were carrying out door-to-door enquiries in the Brixton area of Lambeth this afternoon in an attempt to gather more information about the suspects. Television footage showed police searching an apartment building in the neighborhood. Rodhouse said police are working “to gain the trust and confidence of the highly traumatized victims” and said the process would take time. “This must move at their pace, not anyone else’s,” he said. Earlier, an MP warned that the case was indicative of a much larger problem. In an earlier update on the case, Rodhouse said that the three women had been allowed outside in “carefully controlled circumstances” during their ordeal, but were victims of slavery. He said investigators are trying to figure out “what were the invisible handcuffs that were used” to exert such control. The two suspects were also arrested in the 1970s, but police have not said why. Officers do not believe there are other victims in the case, and say they are confident that they know the true identities of the three women. The relationships among the women — and between the women and the suspects — are under investigation. “Whilst we do not believe that they have been subjected to sexual abuse, we know that there has been physical abuse, described as beatings,” said Kevin Hyland, head of the Metropolitan Police’s human trafficking unit. He and Rodhouse defended the lapse in time between Oct. 25 — when the women gained freedom — and the arrests, saying that the case is complicated and investigators must be careful to ensure they do not further traumatize the victims as they unravel what happened. Hyland also urged patience as the case unfolds, noting that officers must sift through 55 bags of evidence seized in a search of the home, interview several people and follow up numerous strands. This article includes reporting from AP. It was originally posted at 1pm. Email “Met Police: Slavery suspects originally from India and Tanzania”. Feedback on “Met Police: Slavery suspects originally from India and Tanzania”.